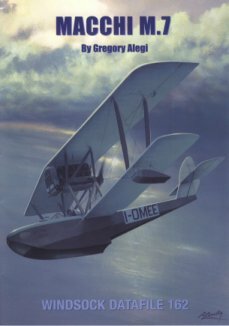 This list is my attempt to feature the most useful flying boat and relevant scale modeling books published together, with my personal comments on their content. 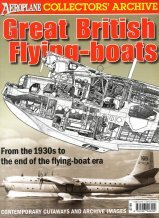 If you know of any flying boat related books missing from this list which you think are of interest, then please e-mail details to SEAWINGS for inclusion here. British Flying Boats Peter London, 2003. Sutton Publishing Co.
All you ever want to know about the design, development and operations of every British built flying boat ever built - with a cracking set of pictures on every page, this is the definitive work on the subject. 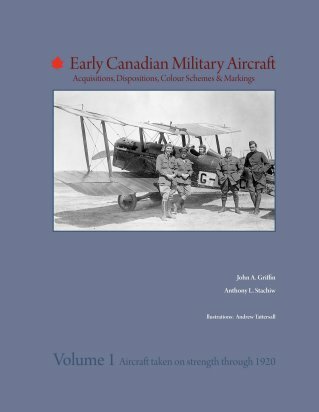 Canadian Aircraft of WWII Aviaeology Superb first volume in a new series of AviaDossier monographs featuring aircraft that have flown with the RCAF - including flying boats. Les Bombardiers d'eau Canadair Scoopers Editions Minimonde76 This is a publication well overdue featuring the superb, colourful Bombardier CL-215 and CL-415 types of fire-fighting 'scoopers'. Perfect for modelers and enthusiasts alike, packed with stunningly colourful photographs and details. Seawings, An Illustrated History of Flying Boats Edward Jablonski, 1972. Robert Hale & Co. Nice title (!) 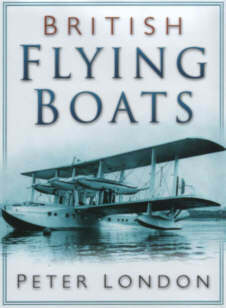 and a full account of flying boats and their operations. Not much for the modeler, though. Flying Boats & Amphibians since 1945 David Oliver, 1987 & 1996. Airlife Publishing Ltd. Available in hard-back and paperback, this is a handy reference work which features chapters on specific flying boats such as the Short Sealand, Canadair CL-215, Short Solent and Piaggio Gull amongst others. Very well produced with great photos and worth looking out for. The American Flying Boat, an Illustrated History Richard C. Knott, 1979. Conway Maritime Press Limited. 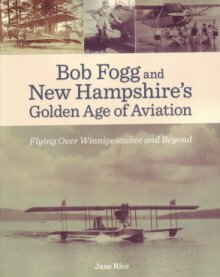 Superbly written history of the flying boat from the American point of view; for a long time my primary source of reference containing many useful photographs from all eras. The Story of a North Sea Air Station C. F. Snowden Gamble, 1928. Neville Spearman. 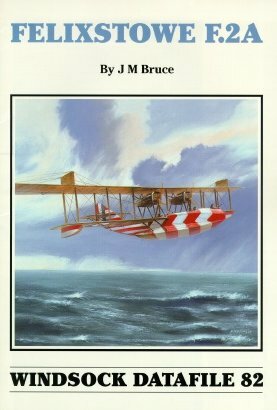 The classic first-hand account of life on a Naval Air Station during the First World War, in this case Great Yarmouth. A cracking read for all those who desire to know what life was like flying the 'boats of that time together with the aerial battles that were fought. A few pictures are contained which add to the atmosphere. I could not put it down! The Spider Web - the Romance of a Flying Boat Flight in the First World War T. D. Hallam,1919. Arms and Armour Press. Another cracking read! This is the story of operations from the East Anglian flying boat bases of Great Yarmouth and Felixstowe, together with North Killingholme, and the aerial battles that were fought during WWI. The Green Eagles of Calshot Edwin Shipley, 1992. A well researched A4 sized paper-back containing many superb detailed pictures of Calshot flying boat base and the craft that were based there. First-class reference material. Seaplanes-Felixstowe, the Story of the Air Station 1913-1963 Gordon Kinsey, 1978. Terence Dalton Ltd. First-class reference for those enthusiasts to read the complete history of this famous station. Includes many photographs that will serve as great reference material, including the marine boat section. Flying Boat Haven John Evans, 1985. Aviation and Maritime Research. 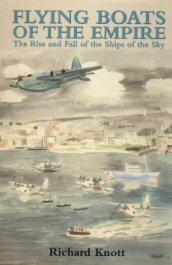 A superb photographic essay on the history of Pembroke Dock flying boat base with authorative text and crystal clear pictures from one of the best flying boat reference publishers of modern times. From Sea-Eagle to Flamingo (Channel Island Airlines 1923-1939) Neville Doyle, 1991. The Self Publishing Association. Very interesting story but, sadly, very few pictures of use to modelers. Die Deutschen Flugboote Fred Gutschow, 1978. Motorbuch Verlag Stuttgart. An all German text covering flying boats, amphibians and projects from 1909. Les Grands Raids Italiens Francesco De Pinedo, 1999.Revue de L’aviation Francaise. All French text history of Balbo’s long range flights. Dornier Bob Ogden, 1983. Flypast Reference Library. Handy pocket sized reference to all this manufacturers products including the famous WWII flying boats. Les Grands Latecoere Sur L’Atlantique 1930-1956. Marie-Paule Vie-Klaze, 1981. Denoel. All French text. The Norman Thompson File Michael H. Goodall, 1995. Air-Britain. 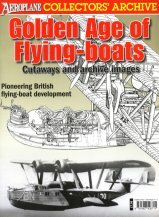 Superb publication with plenty of photographic reference of this British manufacturer of early flying boats; a compelling read. Saunders and Saro Aircraft since 1917 Peter London, 1988. Putnam. 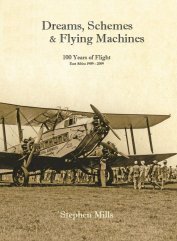 Solid reference work in the traditional Putnam style from my mate, Pete London; all you ever wanted to know about the history and the aircraft of two of the most famous British manufacturers. Shorts Donald Hannah, 1983. Flypast Reference Library. Superb little pocket sized soft-back book crammed with pictures and details on all the Shorts products. Shorts Aircraft since 1900 C. H. Barnes,1967. Putnam. Another in the superb Putnam range; full of detailed written information with a good selection of pictures and thumbnail plans, covering all the Shorts aircraft. Supermarine Aircraft since 1914 C. F. Andrews & E. B. Morgan, 1981. Putnam. 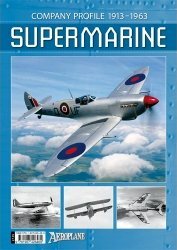 Another master volume from Putnam covering all the Supermarine products; as complete a history as one will ever read. Felixstowe F.2A J M Bruce, 2000. Windsock Datafile 82., Albatross Productions Ltd. Superb study with excellent plans and clear pictures; a 'must have' reference for those with the Roden or Aeroclub kits. The Short Sunderland Geoffrey Norris, 1967. Profile Publications No. 189. Rather dated now, but none-the-less useful as a handy reference booklet. Sunderland At War Chaz Bowyer, 1976. 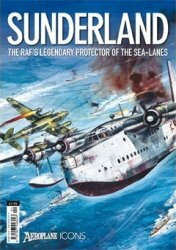 Ian Allen Ltd. One of the popular 'At War' titles and packed full of interesting pictures and stories relating to the Sunderland. A 'must read'. Short Sunderland (Warpaint Series No.25) Tony Butler, 2000. Hall Park Books Ltd. Superb 'one-stop' volume detailing the complete history with excellent colour profiles and pictures. Pilot’s and Flight Engineer’s Notes Sunderland III Air Ministry, Nov 1943. The original Pilots Notes; not a lot of use to the modeler but an interesting read none-the-less - especially if you find yourself at the controls of one! The Sunderland Flying – Boat Queen John Evans, 1987 & 1995. Paterchurch Publications. Superb volume crammed full of interesting, clear pictures. A 'must have' for the Sunderland 'nut'. The Sunderland Flying Boat Queen - Volume 2 John Evans, 1993. Paterchurch Publications. Part 2 - and just as good as the first. Full of great pictures and informative captions. The Last Flying Boat ML 814 – Islander Peter Smith, 1993. Ensign Publications. Superb reference work and crammed full of pictures to help any modeler, this is the full story of the last flying example. The Short Empire Boats Geoffrey Norris. 1966. Profile Publications No. 84. This particular Profile is as rare as they come. I have only ever seen one copy at all the second-hand booksellers I've visited, and I bought that one! Superb coverage of the Empire with lots of useful info and pictures. Flying Empires - Short ‘C’ Class Empire flying boats. Brian Cassidy, 1996. Queens Parade Press. With the information in this volume, and enough sheets of metal, you could make one! Very rarely is there such a detailed account of anything published and to have it on the Empire is brilliant. The life's work of Brian Cassidy repays very careful reading as it is absolutely the last word in Empire construction and the methods of the day. First class reference work! Adventurous Empires Phillip E. Sims, 2000. Airlife Publishing Ltd. Sadly, Phillip died shortly after publication of his book; however, it is a first-class reference work on the Empires complementing the above volume. Phillip's book is full of operational pictures and is a cracking read. A fitting tribute to his research and one that I am proud to own. 'Corsairville' –the Lost Domain of the Flying Boat Graham Coster, 2000. Viking. Story of the downed Empire, 'Corsair' and the struggle to recover her from the African jungle following a forced landing. Supermarine Walrus and Seagull Variants David Brown, Profile Publications No.224. Another in the standard format of the ever popular Profile series. Worth having. Supermarine Walrus Alan Hall and Ray Sturtivant. 2003. Warpaint Series No. 39. Another in the same series as the Sunderland. Personally, I was a little disappointed in the picture coverage in this one. They are rather small and the detail pictures were too few. Still, worth having as a handy reference. Pilot’s Notes for Sea Otter Mk.1 Air Ministry, Nov 1944. The original Pilots Notes; not a lot of use to the modeler but an interesting read none-the-less - especially if you find yourself at the controls of one! SARO A/1 Jet Fighter Flying Boat. Richard P. Bateson, 1985. ISO Publications 6. Superb little monograph with colour profiles and a good selection of detail pictures for the modeler. Peter Hawkins, ISO Publications 3. Virtual re-print of the above. Kawanishi Type 2 Flying boat Bunrin-Do. 1975. (all Japanese text). Superb picture reference of this flying boat - a 'must-have' if you are modeling it. Kawanishi 4-Motor Flying Boats (H6K Mavis and H8K Emily) M. C. Richards, Profile Publications No. 233. Super little reference monograph with good colour profiles. Shinmeiwa PS-1/US-1 Bunrin-Do. 1977. (all Japanese text). Even I want this one! Have not seen it but judging by the format of the rest of the series it will feature pictures of every part of the flying boat. Anyone got one spare? Blohm and Voss Bv 222 Heinz J. Novarra, 1997. Schiffer Mililtary History. First-class reference book by one of the best authors on Luftwaffe subjects and one of the best publishers in the world. Superb. Blohm and Voss Bv 138 Heinz J. Novarra, 1997. Schiffer Military History. Ditto the above. Gregory Alegi, 2001. Windsock Datafile 86. Albatros Publications First-class reference work. All you need to know with superb plans and pictures. Packed with info and colour schemes. W. E. Scarborough, 1983. Squadron/Signal Publications. Typical layout and content of the remainder of the series. First-class reference packed with plans and pictures with colour profiles. William Scarborough, 1995. Walk Around No. 5 Squadron/Signal Publications. If you never get the chance to go inside one, then get this volume as it will take you right through it. One of the best references available for the modeler. Highly recommended. Consolidated PBY Catalina: the Peacetime Record David Legg, 2002. Airlife Publishing Ltd. Large volume detailing the history of the surviving Catalina's around the world. Very interesting read. Flying Cats, the Catalina Aircraft in World War II Andrew Hendrie, 1988. Airlife Publishing Ltd. One of the standard reference works on the Catalina operations in WWII. North Atlantic Cat Don McVicar, 1983. Airlife. Pilot’s and Flight Engineer’s Notes Catalina 1 1B, 11, 1V. Air Ministry, Nov 1943. The original Pilots Notes; not a lot of use to the modeler but an interesting read none-the-less - especially if you find yourself at the controls of one! Catalina Chronicle - a History of R.A.A.F. Operations David Vincent. Catalina, Neptune and Orion in Australian Service Stewart Wilson, 1991. Aerospace Publications Pty. Ltd.
Australian publication, one of a series featuring aircraft types operated by the R.A.A.F.- this one having good reference on their Catalina's. PBM Mariner in Action (including the Martin P5M Marlin, JRM Mars and P6M Seamaster) Bob Smith, 1986. Sqadron/Signal Publications No. 74. Superb reference material in the standard 'In Action' format. First-class for modelers. HU-16 Albatross in Action Robert D. Migliardi, 1996. Squadron/Signal Publications No. 161. Superb reference material in the standard 'In Action' format. First-class for modelers. Steve Ginter, 1984. Naval Fighter Number 11. 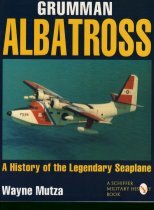 Probably the definitive work on the Albatross. If it isn't in here , then it isn't worth knowing. Packed with details and pictures. Brilliant! Convair XP5Y-1 and R3Y-1/-2 Tradewind Steve Ginter, 1996. Naval Fighter Number 34. Probably the definitive work on the Tradewind. If it isn't in here , then it isn't worth knowing. Packed with details and pictures. Brilliant! Last of the Flying Clippers The Boeing B-314 Story M. D. Klaas, 1997. Schiffer Publishing Ltd. The definitive work on the B-314. Absolutely, one of the finest books I have ever seen and requires not just reading, but study. It is that detailed. Sikorsky VS-44 Flying Boat Harry E. Pember, 1998. Flying Machines Press. Superb monograph packed with pictures and useful reference material. Biplane to Monoplane Aircraft Development 1919-39 Ed. by Philip Jarrett, 1997. Putnam. See Chapter 5: 'The age of the Flying Boat'. US Coast Guard Aircraft since 1916 Arthur Pearcy, 1991. Airlife. Superb picture coverage of the many and varied flying boats operated by the U.S.C.G. George Bolt-Pioneer Aviator E. F. Harvie,1974. Reed Ltd. Story of this pioneer New Zealand aviator and his connection with flying boats. Seaplanes over the Black Sea J.L. Roba & C. Craciunoiu - 1998 True story of the German - Romanian operations during 1941-1944. Good pictures. Flying Boats - Volume 5 William Green. 1962. Macdonald & Co. Vintage volume, now showing it's age, listing every flying boat type that flew during WWII. Very small plans and very indistinct illustrations, however, there was a time when this was all we had. 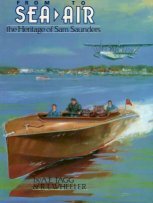 A History of Seaplanes and Flying Boats Lois S. Casey & John Batchelor, 1979. Hamlyn Publishing Group. One of a series of 'coffee table' painted profile books that were popular at the time. "Die Fliegende Holzschuh Blomn und Voss 138" Franz Kober, 1980. Podzun-Pallas-Verlag German Text. 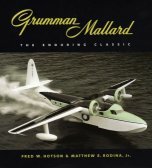 Grumman Mallard the enduring classic Fred W. Hotson & Matthew E. Rodina, Jr -2006 - Robin Bass Studio Inc - ISBN -10: 1-896941-44-3 Complete history of the Mallard, listing all construction No's and fate. Many B&W and colour photos. Grumman Albatross A History of the Legendary Seaplane Wayne Mutza - 1996 - Schiffer Military history - ISBN :0-88740-913-X History of the Albatross complete with all Military and civil users, containing lots of good photo's in B&W and colour. Very highly detailed. Latecoere Les Avions Et Hydravions Jean Cuny - 1992 - 34 Docavia/editions Lariviere All in the French language, but lots of plans and photo's of Latecoere flying boats. Highly recommended. Grumman Goose Steve Ginter - 2004 - Naval Fighters No63 Usual Format for this range of books. 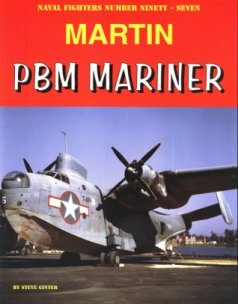 Martin Mars XPB2M-1R & JRM flying boats Steve Ginter - 1995 - Naval Fighters No 29 Usual Format for this range of books. The Imperial Airways Fleet John Stroud - 2005 - Tempus As the title suggests, all the Imperial Airways fleet aircraft with their history. An Aviation Legend Pan-Am Barnaby Conrad - 1999 - Woodford Press Superb pictures of Pan-Am flying boats. 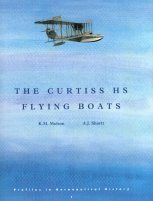 The Curtiss HS Flying Boats K M. Molson & A J. Shortt - 1995 - Naval Institute Press Annapolis Maryland - ISBN 1-55750-142-4 History, extensive photo's and Plans of the original 'boats, and the recreated 'new-build' copy. In short, 'if its not in this book, you will not want to know it', it's that good. From Sea To Air -The heritage of Sam Saunders A E. Tagg & R L. Wheller - 1998 - Crossprint Newport Isle Of White - ISBN 0 9509739 3 9 Complete history of Saunders Roe featuring all the aircraft and projects. Lots of pictures and plans. Very good read of one man's vision. A Dream Of Eagles Ralph A. O'Neill & Joseph F. Hood - 1973 - ISBN 0-395-16610-1 The Story of NYRBA (New York, Rio and Buenos Aires) airline, with a small selection of photo's. Vol.1 This first volume of a brand-new series is stunning; both in quality and content. For the book, layout and general 'feel', think Schiffer quality - and then some. Yes, it really is THAT good, packed full of interesting, well researched information, yet is easy to read and superbly presented.